It demanded precision weight from the thrower (skip Brad Jacobs), precision weight judgment by the sweepers (second E.J. Harnden and lead Ryan Harnden), and a precision line-call from the vice-skip (Marc Kennedy). 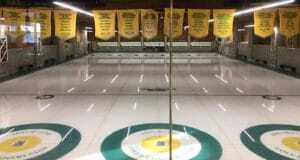 It all came together in the 10th end Thursday morning at Affinity Place as Team Jacobs (3-0; Sault Ste. Marie, Ont.) pulled out a dramatic 5-4 over Reid Carruthers’ Winnipeg team (0-3) that is being skipped this week by Mike McEwen. Jacobs, facing three Team Carruthers counters, made a wide outturn tap of a Carruthers stone partially buried in the four-foot for the victory, thanks to the efforts of all four players, including Kennedy in just his third game in the lineup in place of Ryan Fry, who’s taking some time away from curling. About the only thing missing from Kennedy was the fist-pumping celebration that is the trademark of Team Jacobs; the other three did their part, but the smiling Kennedy merely observed. Based on the performance to date in Estevan, there’s a good chance. 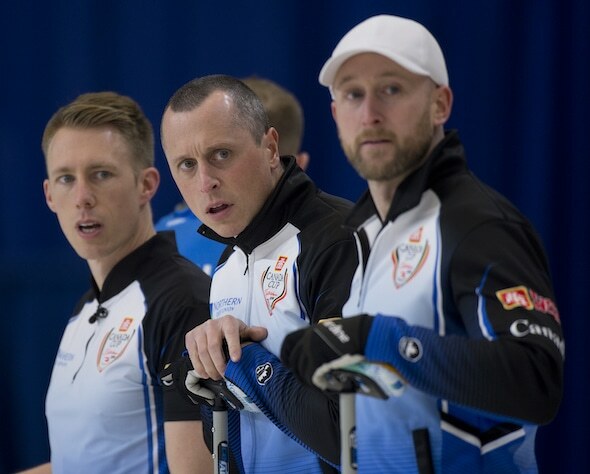 Team Jacobs can clinch no worse than a tiebreaker berth with a win later Thursday. Half a week into his first experience as a member of Team Jacobs, Kennedy hasn’t discovered anything new about the team’s quite obvious on-ice skill-set; that’s been evident to him for years as rivals. But being on the inside has given him a new appreciation of what has made the team so successful over the years. 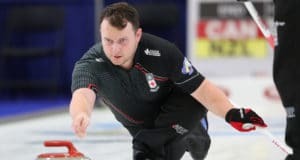 In the other men’s game on Thursday morning, Brad Gushue (2-1; St. John’s) scored five in the fourth end en route to a 7-2 victory over Toronto’s John Epping (2-1). In women’s play, Kerri Einarson (2-1; Gimli, Man.) handed Jennifer Jones (2-1; Winnipeg) her first defeat, a 6-3 setback; Ottawa’s Rachel Homan improved to 2-1 with an 8-3 win over Edmonton’s Laura Walker (0-3); and Calgary’s Chelsea Carey (1-2) hit the win column, shading previously unbeaten Casey Scheidegger (2-1; Lethbridge, Alta.) 7-6. 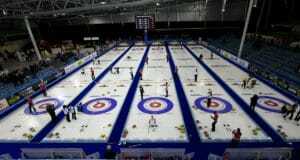 The 2018 Home Hardware Canada Cup continues with draws today at 2 p.m. and 7 p.m. (all times CST).